I don’t usually spend time talking about fast food chains in this blog. Actually, I never do. And though I do love their burritos, the reason I chose to write about Chipotle is their latest animated short. Disclaimer: This is NOT a sponsored post by Chipotle or any other company. We DON’T do any sponsored content / product placement etc. If you have no idea what I’m talking about, Chipotle has recently released their latest animated short film A Love Story, in their tradition of using creative storytelling to promote social agendas against the industrialization of the food industry, competition-driven compromises and quantity vs. quality. I decided to write about this film not only because I enjoyed it purely as an entertaining video, but because I always appreciate it when companies use creative storytelling to strengthen their brands. Here’s a little about the film: First we should acknowledge that it’s technically a commercial, and I’m only mentioning it because when you watch the film, you will quickly forget that fact. 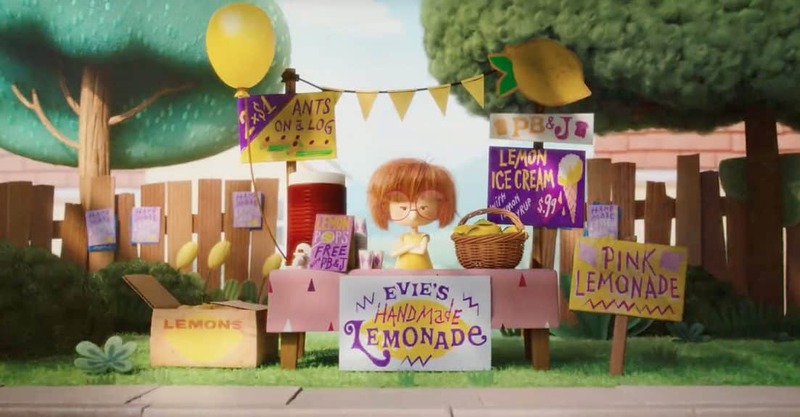 This film, Directed by Saschka Unseld (The Blue Umbrella), is not the first time Chipotle is taking on a creative challenge in film form, with their previous animated shorts The Scarecrow and Back to the Start. Unlike these ones though, which were very dark and tragic, A Love Story brings a more positive and light-hearted story, played to the tunes of a terrific cover of the old Backstreet Boys classic I Want It That Way. The short follows the story of how competition in the food industry can make companies forget about why they do what they do, losing sight of themselves in trying to maximize efficiency on the expense of quality. This short is so great, that you instantly forget it’s a commercial for a food chain and totally get absorbed in the world they created. This concept is illustrated by our two protagonists, a boy and a girl who run their own orange juice/lemonade stand, and while trying to out-sell each other they wind up with a huge industrial food-corporation. Chipotle has definitely stepped it up with this one in terms of production value, making it longer than their previous films and with improved CG work in the lighting, rendering and animation. I think the best thing we can learn from this short is actually something that has nothing to do with animation and more to do with smart brand building, and that is why I chose to cover the film in the blog. Companies can use the power of creative storytelling to build their brands. Chipotle is not even mentioned in this film, they don’t try to stick their burritos in our faces, they are telling a different story. A story about food quality, about the anti-industrial way of making food. About collaboration vs. competition. This is what makes it so much more powerful than a regular commercial. Creating a film like that doesn’t come easy. It’s a HUGE expense. They hired a Pixar director, and made a 4 minute film (which won’t even fit to any traditional distribution method like TV or theater commercials), and they don’t even talk about themselves. That’s a risk that not every company will be willing to take. Most companies are reluctant to make financial investments when there’s no tangible ROI (return on investment). That is why I think Chipotle is doing a smart thing, and with films like that they separate themselves from the negative way the fast food world is being perceived, despite being a fast food chain themselves. As someone who’s running a small business (this blog) I enjoy learning from other companies and brands, and one of my favorite business values is investing in the long game. Not looking for the short term profit, but investing in my customers or audience. That is why I invest in creating free content (in the form of all the tutorials and making-of series, or the detailed e-book about how to make an animated short) and that way I invest in my audience in the long term, making some of them fans for life. That was MY lesson from this story, but there are many other takeaways, such as using the power of great storytelling to advocate your social cause, making yourself stand out from the crowd, and even changing the public perception of your brand. 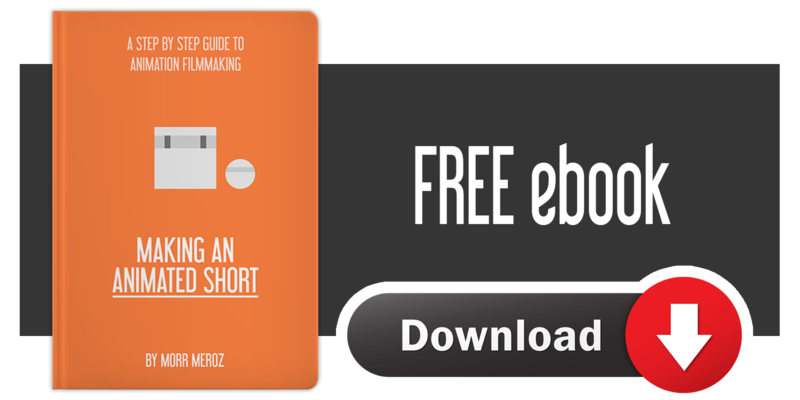 You may not like Chipotle, or don’t agree with some of their messaging, but you can still learn from their smart marketing efforts and great storytelling skills.